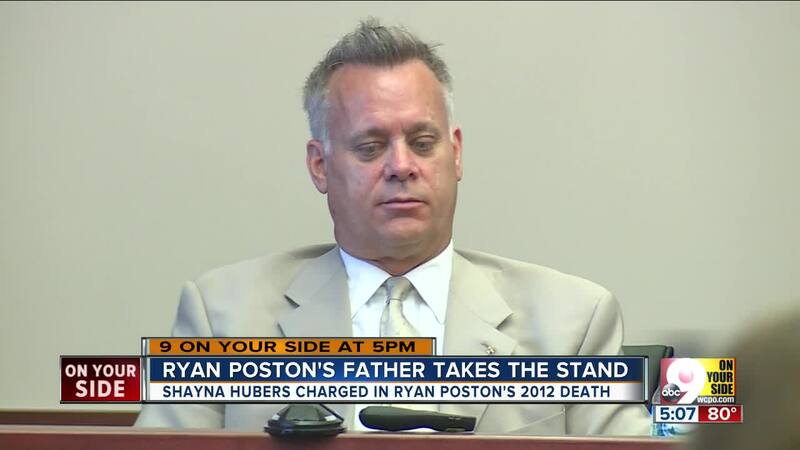 NEWPORT, Ky. -- The father of Ryan Poston said his son was worried that Shayna Hubers wouldn't leave him alone. Jay Poston took the stand Friday in the fourth day of Hubers' retrial. He said his son came to his house late one night in August 2012 very upset. Ryan said he was trying to move on with his life, but Hubers wouldn't let him do it. "I asked him what's going on, and he said, 'Dad, she won't leave me alone. She won't leave my home.' I said to him, 'Ryan, that's your home.' I said, 'She needs to leave your home,'" Jay Poston said. Prosecutors in the case claim Hubers shot and killed Ryan Poston on Oct. 12, 2012 because he was planning to break up with her. 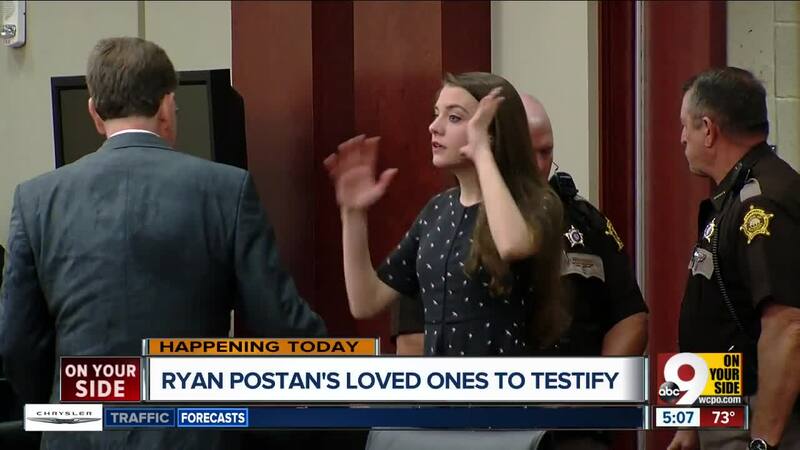 Three of Poston's friends acknowledged that in testimony Thursday. The night Ryan visited his father, Jay said "throughout the entire night, all I heard over and over and over again was the pinging of his phone with text messages all night long." Poston and Hubers dated for about a year-and-a-half. Jay Poston said he was worried about where the relationship was headed. He knew his son wanted to end things, and he even met Hubers face-to-face to try to get her to move on. "I said, 'Ryan doesn't want you and he's made it very clear he doesn't want you here, and I think it would be best if you left,," Jay Poston recalled telling Hubers. "'I honestly don't know why you keep staying around. He has made it very clear to you that you need to go.'" But nothing changed after that, he said. Authorities said Hubers went to Poston's Highland Heights condominium the night of the shooting to either keep him as a boyfriend or put him in a body bag. Hubers has a different story . She told police she shot Poston in self-defense and that he was abusive. 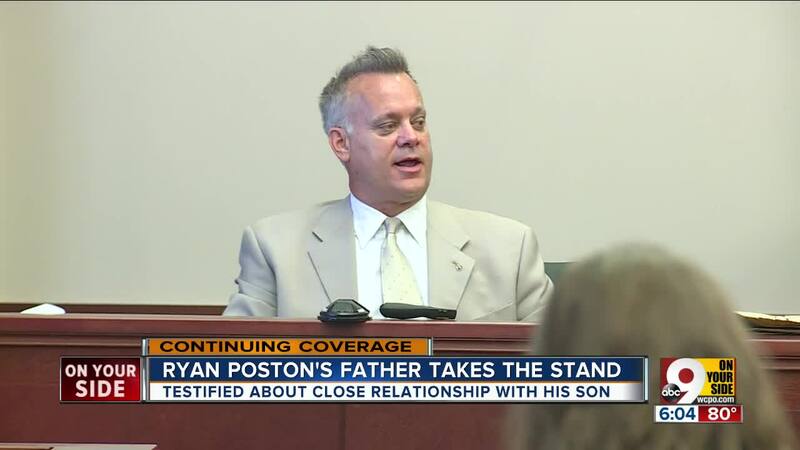 During his testimony Friday, Jay Poston recalled his son as "brilliant" with "a kind heart." 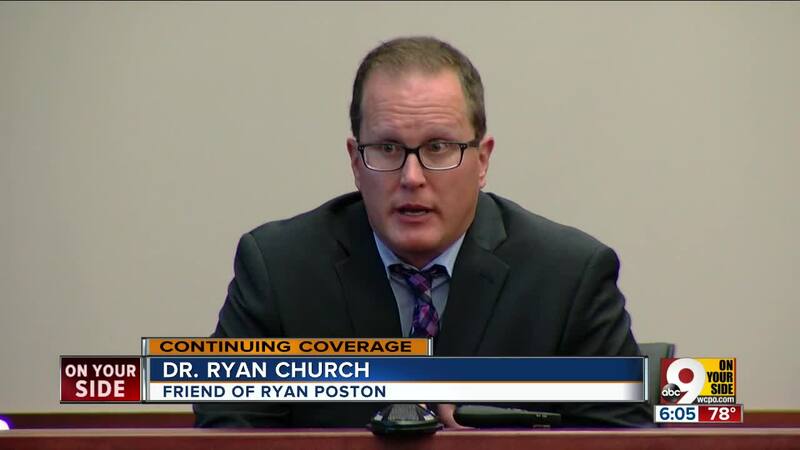 Neighbors of Poston testified that they heard the shots that killed him. 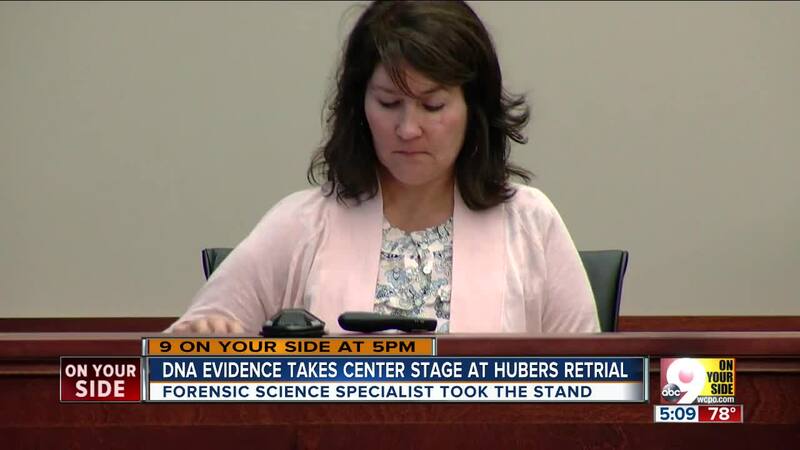 Jurors watched video Friday morning of testimony given by Doris West in Hubers' first trial in 2015, because of West's current medical issues. She described the sequence of what she heard that night. "I heard two shots and I thought they were firecrackers, but they were not," West said. "And then there was four more shots, like boom, boom, boom, boom. I heard that." Her husband, Victor, described a similar sequence: two shots, a sound like something falling, then four shots. Both told jurors that they didn't hear any noise from a struggle before the shots. That's key for the prosecution's case.